As a cooking instructor and holistic health counselor, it’s part of my job to keep up with food trends and diets. They are constantly changing and some can be a little extreme. I know I sound like a broken record, but I do not believe that there is only one best diet out there. The most important advice I can give anyone is to listen to your own body and how you feel when you’re eating/not eating certain foods. When I say, “listen to your body”, I don’t just mean your stomach. Pay attention to your energy level, your heart rate, digestion, your skin, nails and hair. If you eat something and get a headache every time, your body most likely isn’t processing it well. I know I’ve found the right diet for me when I feel energetic, sleep well, my brain is sharp and my skin is glowing. Everyone is different, so it is important not to jump on the new trendy diet when it claims to help you lose weight and feel amazing. That being said, there are certain foods that we should limit, if our goal is to maintain a healthy body and weight. In my opinion, some of those foods include sugar, refined/damaged oils, and too many processed carbs. As most of you know, I am 100% Italian, and I LOVE a good bowl of pasta. But it’s an easy food for me to overeat and when that happens, I do not feel my best, especially if it’s pasta with gluten. I have really grown to love the gluten-free pastas on the market and don’t cook much wheat pasta these days (see this post for more on GF pasta). But there is a noodle substitute on the market right now that is a game changer: the shirataki noodle. Shirataki noodles are a Japanese noodle made from the Konjac plant. They have no calories and no carbs, making them ideal for pretty much any diet out there. They basically consist of mostly water and a soluble fiber called glucomannan, which has been shown to improve gut health because it contains prebiotics to nourish the good bacteria, reduce your risk of heart disease and can help you lose weight by keeping you feeling fuller for longer. They can, however, cause some digestive issues if over-eaten, so do be careful. I like the Miracle Noodle brand, but the Thrive Market or Skinny Noodle brands are also great. You can usually find these at most grocery stores in the section where you would find tofu. They come in a variety of different sizes such as fettuccini, angel hair and ziti. But they do smell a little funny (like three-day old fish, if I’m being honest) and have an odd consistency, but do not fear, if prepared correctly, they are a real winner in stir-fries, soups or pasta dishes. Remove the noodles from the package, place in a colander and rinse under cold water. 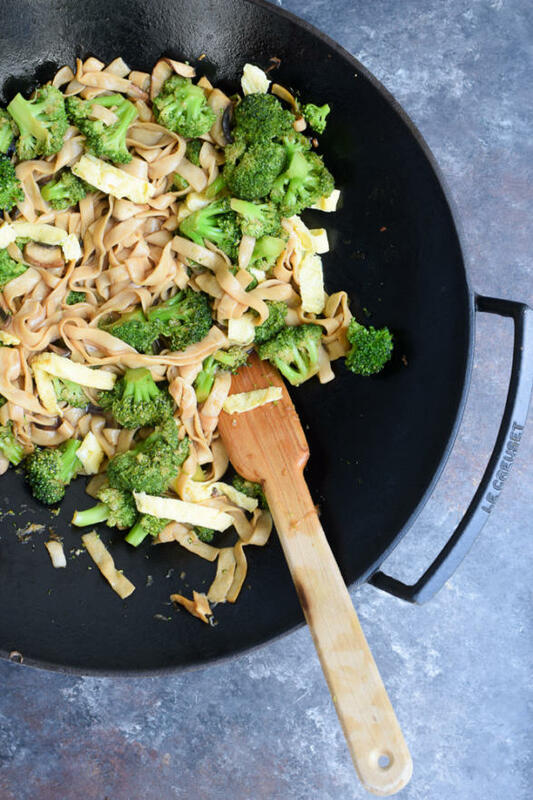 Place the drained noodles BACK INTO THE POT, with the heat on medium, and dry-fry them until you remove the excess moisture. 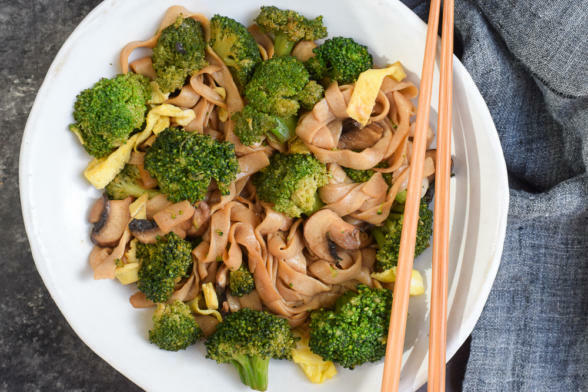 Would you try these instead of wheat noodles? If you do, please share them on Instagram and tag me @pamelasalzman #pamelasalzman, I would love to see your creations! Bring a medium saucepan of water to a boil. Drain the noodles in a colander and rinse well with cold water for 30 seconds. Drop noodles into the boiling water and cook for 2-3 minutes. Drain the noodles and add back to the pot and put over medium heat. Stir around to dry the noodles as much as possible. This is the most important step so that the noodles attract flavor and sauce. Use as you would use pasta. Can you share the recipe which is in the photo above. 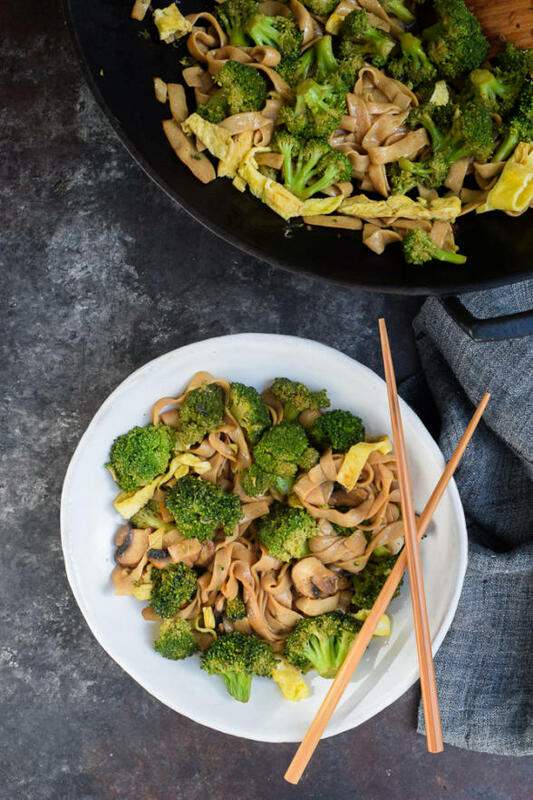 Looks like broccoli and mushrooms but I’d love to know the sauce! Looks amazing. There is another brand you might want to try: Zeroodles. They are made with konjac AND oat fiber. In my opinion, they are more like “real” pasta than the konjac noodles without the oat fiber. And, HOORAY!, this brand does NOT smell like three day old fish! There is almost no odor whatsoever. The only problem is that I have to buy them online and they are quite frequently out of stock, due to their popularity. I find the rice shape is particularly useful. Oh, interesting! I will check them out. Those are not Paleo-friendly or good for grain-free folks, but I love oat flour. Thanks, Ginny!